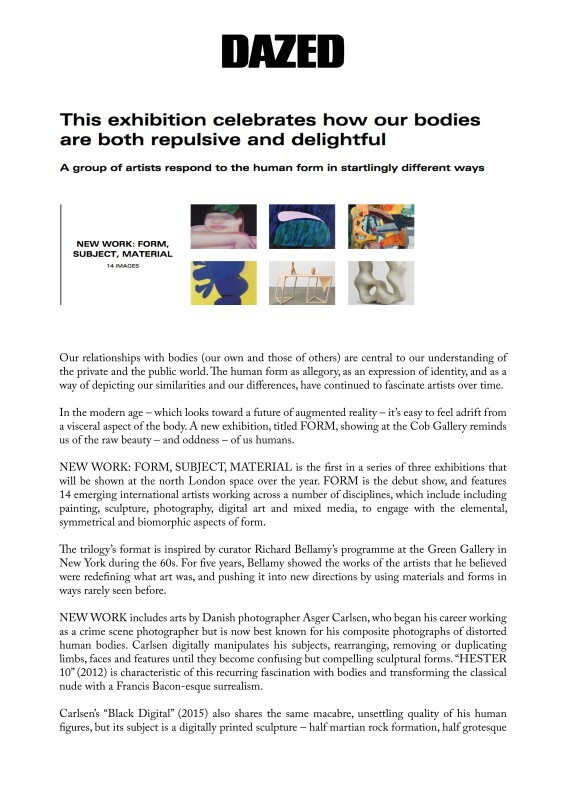 Our relationships with bodies (our own and those of others) are central to our understanding of the private and the public world. The human form as allegory, as an expression of identity, and as a way of depicting our similarities and our differences, have continued to fascinate artists over time. In the modern age – which looks toward a future of augmented reality – it’s easy to feel adrift from a visceral aspect of the body. A new exhibition, titled FORM, showing at the Cob Gallery reminds us of the raw beauty – and oddness – of us humans.